This is now known as “the ice cream that nearly broke me” in my family. I love ice cream but it’s got to be creamy and smooth. 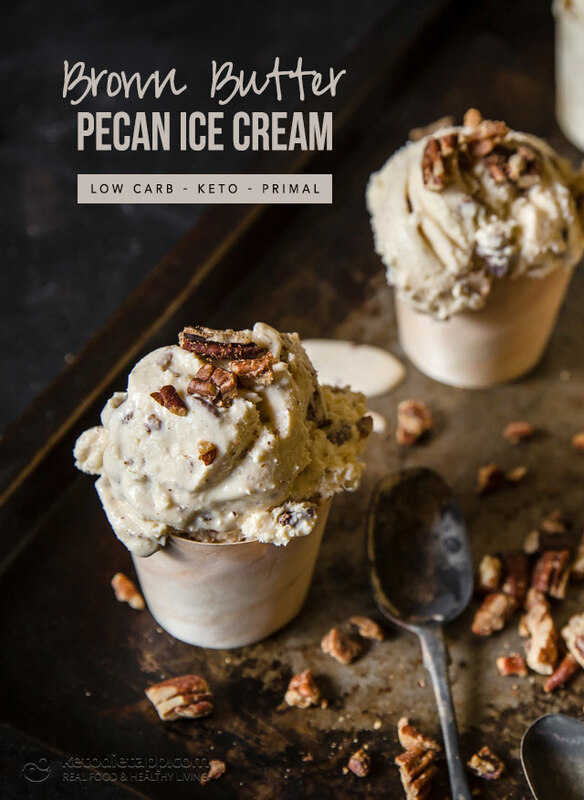 I find that low carb ice creams can easily become icy or just not quite right as far as the texture goes. I know that using egg yolks helps with the creaminess and stability and I also know that vegetable glycerine will do wonders in stopping that iciness. But I did not know that xylitol will result in a much softer ice cream, so the first batch that I made had a lot more xylitol in it. Not only was it waaaay too sweet, but it also wouldn’t freeze. No matter what I tried, I could not get it past the extremely soft serve stage. I made edible anti-freeze! I will say that the texture was divinely smooth though. So, I made and re-made batches until I found the perfect balance of these ingredients to create a luscious, creamy ice cream. I was so sick of the sight of ice cream by the end of it! But it was worth every second. Enjoy! Note: Xylitol improves the texture and add softness but you can use other low-carb sweeteners too: Erythritol, Swerve, stevia or monk fruit based sweeteners. To prevent any gritty texture, process in a coffee grinder or a blender to "powder". Preheat oven to 180 °C/ 355 °F. Melt 20 grams of the butter and toss through the pecans until coated. Spread out in an even layer on an oven tray and bake until browned. Keep an eye on them as they can burn very easily. Place cream, almond milk, vanilla, glycerine and Xylitol into a pan and heat over gentle heat until Xylitol has dissolved. 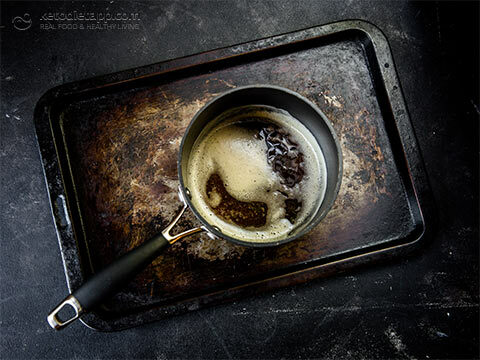 Melt the remaining 60 grams of butter in a pan and keep heating it until it reaches a deep golden brown colour. Again, keep an eye on it so that it doesn’t burn. Add the butter to the cream mixture and whisk well. 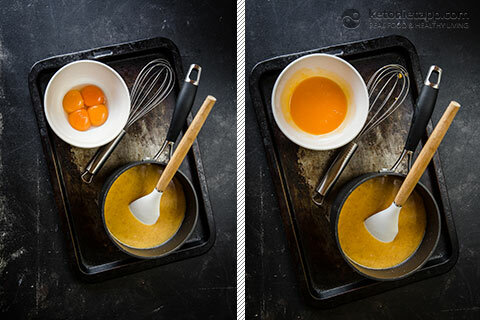 Place the egg yolks in a mixing bowl and beat well. 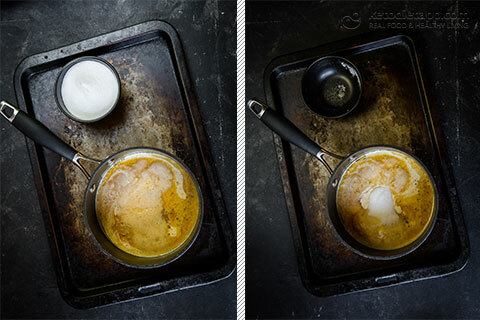 Add one third of the cream mixture to the egg yolks to temper the yolks, beating well. 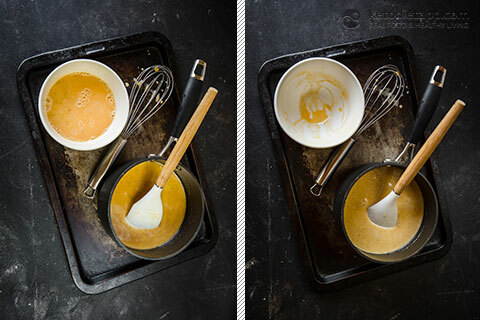 Slowly add the egg yolk mixture in to the cream, beating the whole time, and place back over medium heat. Cook slowly until the mixture thickens. Pour into a bowl and set aside to cool. 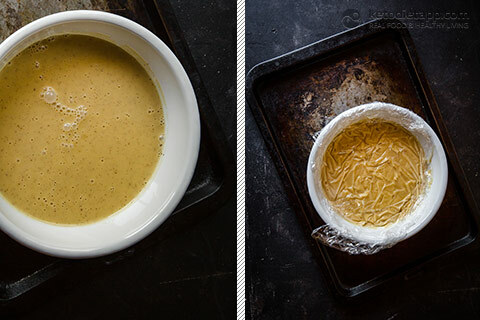 Place cling wrap over the surface of the custard to avoid a skin forming and chill in the refrigerator until cold, preferably overnight. 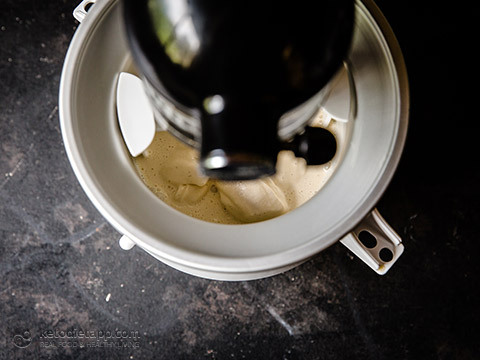 Place mixture into your ice cream maker and mix until soft serve consistency is achieved. 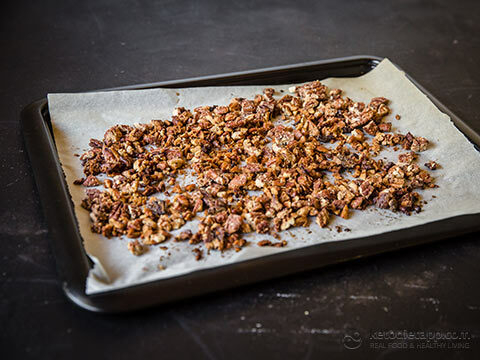 Fold the pecans through the mix, retaining a handful for garnish. 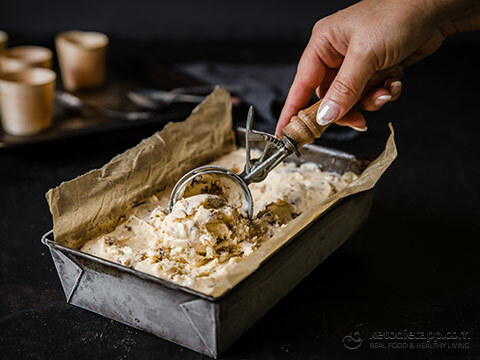 Spoon the ice cream into a container, sprinkle with remaining pecans and freeze until firm, usually only a couple of hours. Store, in a container, in the freezer for up to a month. 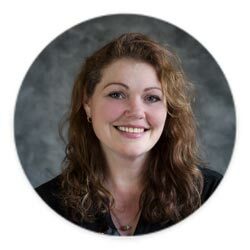 Hi Martina I love your blog it’s a regular go to resource for me when looking for new Keto recipes. Many thanks to Naomi for this recipe. I’m new to making Keto ice cream and this is the first one i’ve Made, where I’ve made the custard on the stove. This was simply spectacular!! It tastes as good as regular sugar filled ice cream. I used the vegetable glycerin and a shot of vodka. The texture is as close to real ice cream as I think you could get without sugar. I give it five stars and will be pinning this on Pinterest. Thanks for the delicious ice cream. I wonder what the butter for? Can I just remove it? Please share more ice cream recipes, especially with coconut milk based one. I made this exactly like recipe listed. It was delicious!! But, it seemed grainy. Did I need to cook the base with the Xylitol longer, maybe? Hi Julie, I think it has not dissolved properly which may happen with butter. It happened to me when I was making keto chocolate and the sweetener didn't dissolve in the cacao butter. In that case it's better if you use "powdered" Xylitol (or other powdered sweetener such as Erythritol or Swerve). If you need a quick fix, I think it's better to place it in a blender as it is. If you cook it for longer, the xylitol may solidify on the bottom of the saucepan (again, speaking from experience - that is why xylitol is great for making candy lollies!). I hope this helps! Hi, I forgot to get almond milk and I live to far out to go back and I really want to make this today, so my question is can I use all whipping cream for both whipping cream and almond milk? Hi Nancy, I'm sorry for the delayed response - it usually takes a few days to approve/reply to all comments. If you use cream, it will be more creamy and will contain more fat. What I do when I don't have almond milk is that I mix about 1/4-1/3 cup of heavy whipping cream or coconut milk with 3/4 cup of water. I hope this helps! Just made this and it is yummy. 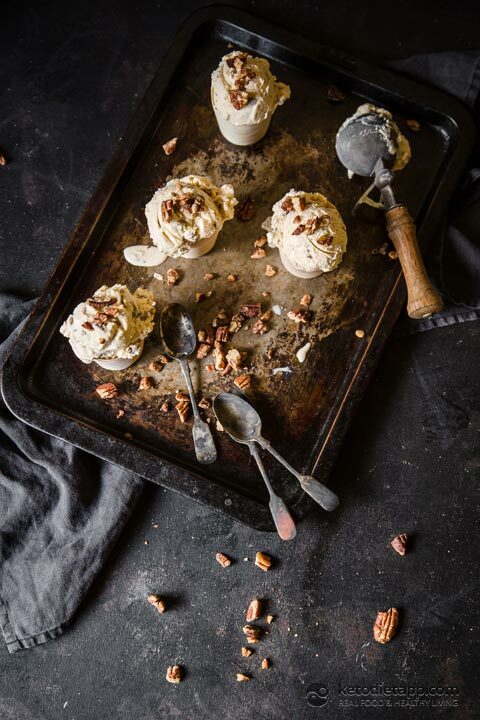 It is the only pecan icecream recipe I have managed to make to work. Not sure if it is because I used cream or the xylitol instead of milk and stevia.. 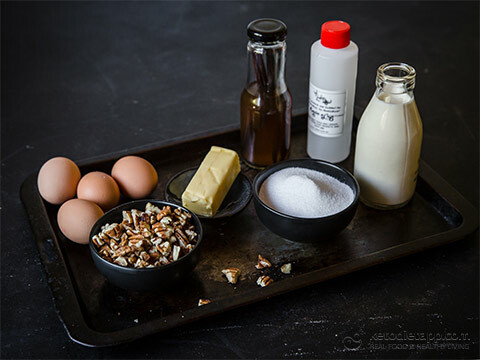 Anyway, it seems that I can substitute the pecans for any other nuts for different flavors, but was wondering can I use the recipe without the nuts as basic vanilla ice cream and add other toppings to it? Maybe some cocoa or melted chocolate or fruits? Has anyone tried that and did it work? Any tips on how to turn that into strawberry or raspberry or even salted caramel will be appreciated? I just made this with the exact measurements and exact ingredients. It turned out delicious! It was quite a few steps, and I was afraid it was not going to turn out . My mixture never seemed to get to custard consistency. But I did refrigerate it over night and it was ready to eat after 10 minutes in ice cream maker. It was a bit grainy. But, I think that may have been from not melting the xylitol all the way. Great recipe!! And, it was the first time using my new ice cream maker! Perfect! Looks delicious! But I’m not sure about the ingredients. The ingredient list calls for xylitol. But, the directions call for erythritol. Which one is correct? Thank you for spotting that Debbie! You can use either - both will work. Xylitol will result is softer/less icy ice cream. 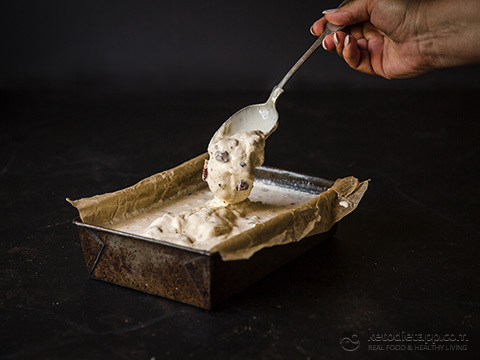 I am all excited about this recipe as I love ice cream and even have an ice cream maker and will definitely try this. My question: Shouldn't the ice cream be ready after using the ice cream maker? Why do I need to freeze the mixture again? And another question: Is it possible to prepare non-dairy? I suppose you can have it straight from the ice cream maker but it will be quite soft. The subsequent freezing is recommended as it will help the ice cream set. I think you can use coconut cream instead of dairy cream but I would not substitute the butter, although you could use ghee (clarified butter) but the flavour wouldn't be the same with milk solids removed. Do you really need to use 1 tsp vegetable glycerine? Can something else be substituted or can it be left out? You can leave it out, or instead you can use 1 tbsp MCT oil or 1 tbsp vodka - that will also help with the iciness. Is an ice cream maker required? Yes, it's better to use an ice cram maker as it will make the ice cream smooth.